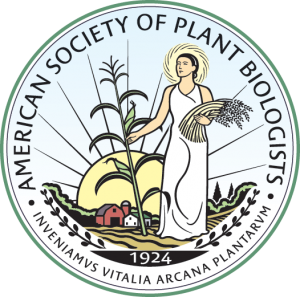 Below is information for libraries on subscribing to The Plant Cell and Plant Physiology® journals. If you don’t find your answers here, contact us! Tier 4 – Please contact the representative in your region (below) for price quotes. Tier 5 – Please contact the representative in your region (below) for price quotes. Multinational pharmaceutical or biotech companies. Authorized Users are authenticated, authorized current full and part time students, employees (including faculty, staff, affiliated researchers and independent contractors), and other individuals who have permission to use the public computers on the Library Subscriber’s campus. An online subscription permits unlimited simultaneous internet access to complete Journal content by Authorized Users for the entire subscription term. Secure proxy access from off campus locations is allowed. We offer multi-site & consortium subscriptions. Contact us based on your location with the number of sites that will have access to our journals & the number of relevant users at each site. We will be happy to quote you a price. Pay per Article: You can purchase access to any article in The Plant Cell Online or Plant Physiology® Online, including the PDF version, for a period of 48 hours for US$20.00. You may view, download, and/or print the article for your personal, scholarly research, and educational use. You may not (i) distribute a copy (electronic or otherwise) of the article without written permission from ASPB, (ii) post the article on an electronic bulletin board or website, or (iii) charge for a copy (electronic or otherwise) of the article. To purchase an article, click on its full-text link and follow the instructions on the Sign In page. Inter-library Loan of articles or components in any electronic or digital form is allowed under American Library Association’s Interlibrary Loan Code for the United States, provided only a limited number of copies of such articles will be made and distributed. Visit the ALA Website for more detail. Have any of your IP addresses recently changed? Do you have new IP addresses to be added? Does your institution have a proxy server? That server’s IP address must also be entered in order to gain access. Go to http://admincenter.aspbjournals.org/cgi/ipupdate or contact us for assistance. Subscriptions are issued on a calendar-year basis only. Prepaid/We regret that we are unable to offer refunds. Our licensing agreement can be found here, or contact us with questions. A subscription allows access to the full text of both current and past issues of The Plant Cell and Plant Physiology®. Tables of contents, abstracts, and many front-section features are free to everyone. The full archive of The Plant Cell (to volume 1, 1989) and Plant Physiology® (to volume 1, 1926) are freely available at HighWire Press, PubMedCentral (both with a 1-year embargo) and JSTOR (with a 3-year embargo). Both journals are also archived at LOCKSS and CLOCKSS. The Plant Cell and Plant Physiology® have RSS feeds! See www.plantcell.org/content/rss or www.plantphysiol.org/content/rss for details on how to subscribe.